What’s the difference between version 2.1 over 2.0? The quick answer is that 2.1 adds a total of 17 new Success Criteria across A, AA, and AAA standards and maintains all the 2.0 Success Criteria, becoming an extension rather than a replacement. Most companies aim for AA level conformance so that means 12 new success criteria for you and your teams to understand, follow and check for as you look to fix and maintain your website accessibility. 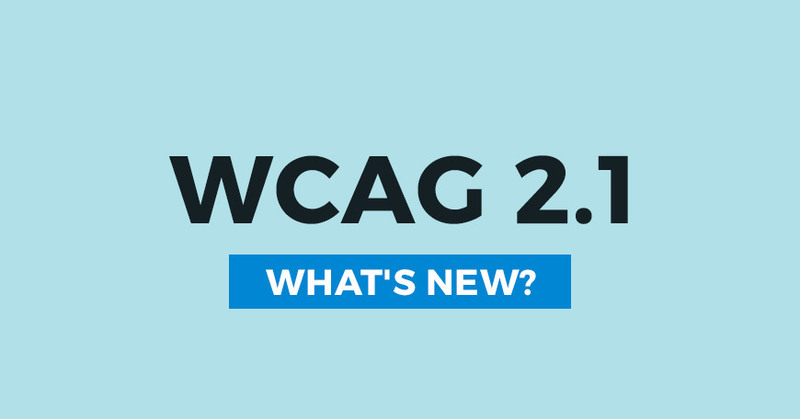 WCAG 2.1 continues to recognize the importance of offering alternative ways to provide conforming content when updating the original web site is not a practical approach. A Dynamic Accessible View, such as UsableNet Assistive, can deliver benefits to all parties. This can be a faster and easier way to ensure full accessibility to these expanding guidelines. When will we legally have to follow 2.1? 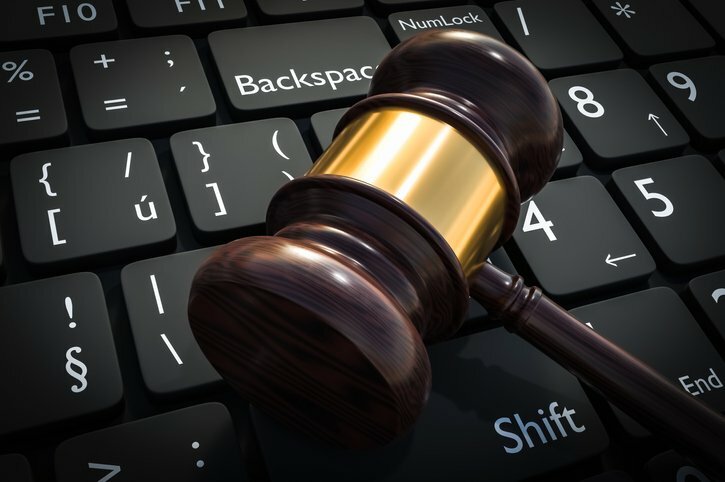 The W3C Web Content Accessibility Guidelines (WCAG) 2.0 has become the prevailing standards for nearly all web accessibility related laws around the world. Specifically in the US the DOT, the American Health Care Act and the recent updates to Section 508, which affect all Federal departments and agencies directly, reference WCAG 2.0. 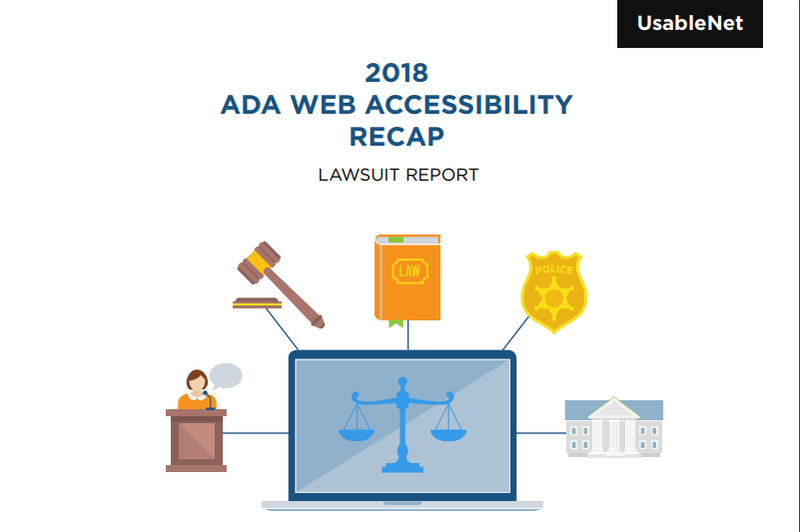 It is also the reference point used in all legal cases and ADA related web accessibility settlements, including those lead by the DOJ. So do they all now follow 2.1? "Section 508 regulations and DOT ACAA regulations won’t automatically update. The regulations refer specifically to WCAG 2.0 and they would have to be amended to refer to WCAG 2.1. That means going through the entire notice and comment procedure for new federal regulations, which takes at least a couple of years. Because it is a long a tedious process it is unlikely the Access Board would address this until there is a really significant revision, not just an update. Existing settlement agreements won’t automatically change unless someone had the foresight to include a specific provision to that effect. I imagine that as plaintiffs’ attorneys become aware of the change they will start pushing for WCAG 2.1 compliance. I don’t know what additional burdens this puts on a business, but negotiation will be a game of balancing costs against benefits. If compliance with 2.1 is not significantly more expensive than compliance with 2.0 businesses will just do it. If not, they will push back. Since all the decisions favorable to plaintiffs refer to 2.0, the plaintiff would have to be exceptionally aggressive to push for more than 2.0 right now. But of course, somebody eventually will." How will web sites need to change for these new Success Criteria? Most companies are focused on achieving AA conformance, which will mean 12 new success criteria to pass. Most of these will be an extension of work you have already started to implement with 2.0 but we have identified 3 areas that potentially pose the biggest challenge for the majority of sites. The intent of this Success Criterion is to help people with low vision by allowing the browser zoom function to increase the size of most content to 400% without breaking. Many sites have already started to add responsive headers, footers, and general content but when the features are more complicated such as, airline booking tables, meeting the criteria will be harder to achieve without a major re-write in the underlining web application and a major consideration around UX. The WCAG 2.1 recognizes this challenge and suggests that for these types of situations an alternative version can be used. There are a couple options available: A Dynamic Accessible Version (DAV) such as the one created by UsableNet Assistive or a company could link to its mobile version with a fixed 320px wide layout. 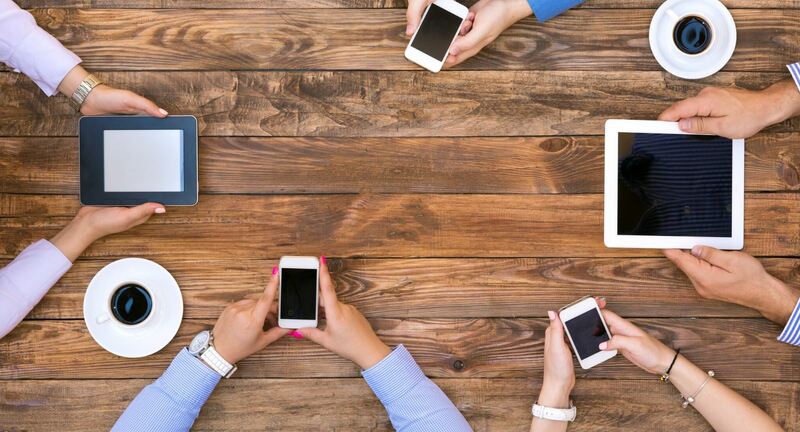 Typically, the issue with mobile versions is that they have selected or reduced feature sets so will not be equivalent and equal, a requirement of WCAG 2.1. It’s also important to check out and understand Success Criteria 1.4.12, which refers to making your text adaptable and Success Criteria 2.5.3, which ensures that controls are touch-ready for size. Both criteria will add to the overall user experience of the redesign sites. We have highlighted this Success Criterion due to the technical work most sites will need to add into their forms for helping users. The identification and descriptions of all the common controls will probably involve UX, so including more teams outside of Development is vital to the success of this Criteria. Similar to the previous AREA, another level of UX will be added that a developer may not have intended. Involving additional teams to satisfy these new criteria is crucial. A UX designer will be able to identify added features that are activated by a device motion, such as tilt. Additionally, understanding Criteria 2.5.2: which is about ensuring that pointer events (and touches) are handled correctly is important to fully achieving compliance. How can UsableNet help and support your efforts? To ensure you support people with a wide range of disabilities in accessing your website content and functionality, without losing time or resources in your already packed developer lifecycle, UsableNet Assistive and our team of expert accessibility developers will help to alleviate your work load. The UsableNet Assistive is an adaptive technology platform, provided as a fully managed service, that maintains the compliant accessible view of your website. UsableNet combines accessibility developers with our powerful technology platform to create comprehensive solutions that allow your team to organize, test, resolve, and report accessibility compliance with main stakeholders. Try our free UsableNet AQA tool. 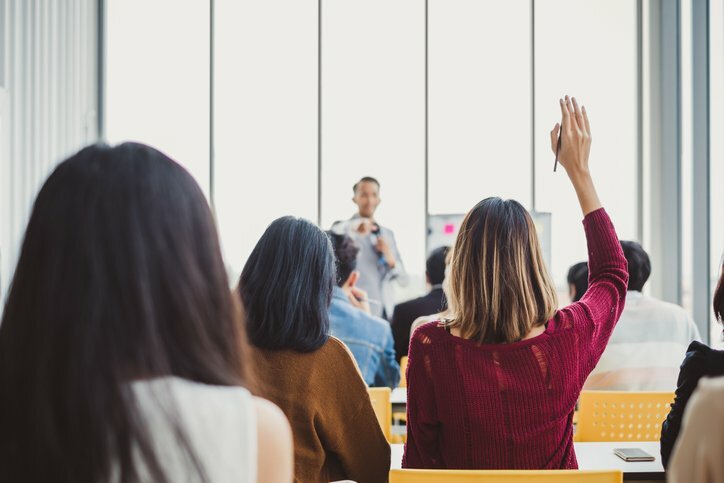 Based on the results from the audit performed against the updated 2.1 guidelines, content for training will be tailored to a client’s results. Out training is conducted by accessibility experts with both real world and development knowledge to ensure maximum value for training time. 2018 will be an important year for the WCAG and the work being done to enforce them. 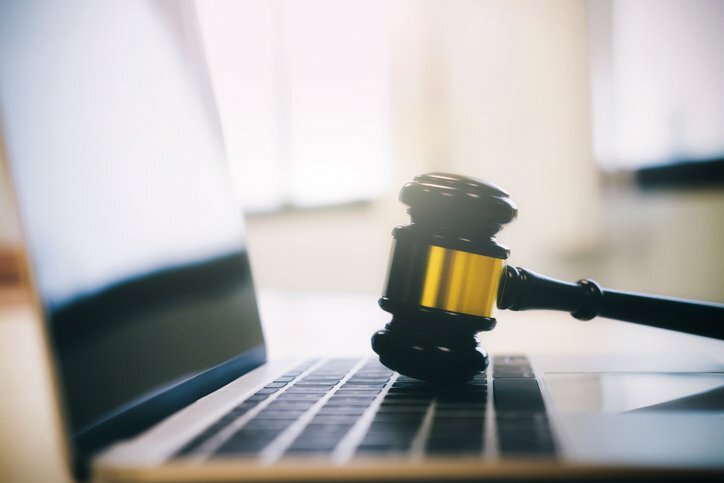 Don’t allow any more time to pass on achieving compliance and allowing users with a wide range of disabilities access to your digital content. For continued reading on steps and best practices to consider when planning your digital accessibility initiative, use our Web and App Digital Accessibility e-book to help you on your journey. Jason C. Taylor is the Chief Innovation Strategist and Special Advisor to the UsableNet CEO with over 20 years of technology, usability, and accessibility experience. He is a global technology thought leader for multichannel customer engagement, actively advising leading companies on how to extend their brands across multiple channels for all users. He has been an active member of the accessibility and usability community since 2001, which started with leading partnerships between UsableNet, Macromedia (now Adobe) and The Nielsen Norman Group. Richard is certified in Civil Trial Law by the Texas Board of Legal Specialization and has tried jury and non-jury cases throughout the state of Texas since 1981. His work on ADA and FHA defense matters includes consulting with a wide variety of clients on ADA and FHA compliance issues, defending developers, retailers, shopping centers, banks and other enterprises in ADA and FHA litigation as well as frequent speaking engagements and webinars on avoiding and winning ADA and FHA lawsuits. He teaches Disability Law at the SMU Dedman School of Law, and his blog, “Accessibility Defense” serves as a resource for hundreds of attorneys, accessibility experts and others involved in ADA and FHA litigation.